We are excited to announce that author Lila Felix has signed a publishing contract with Ang’dora Productions for its Havenwood Falls Shared World program. Lila will be writing a novella for the Havenwood Falls series, releasing November 2017. Yesterday, we announced our new Shared Worlds Program, Havenwood Falls. We’re thrilled to have Regina Wamba and MaeIDesign & Photography on board as our Art Director for the program. Regina will oversee the creation of all of the visual elements for the program, from logos and branding to the book’s covers. Regina has won numerous awards for her beautiful cover designs and photography. Her work graces the covers of 1000s of books, including several Wall Street Journal, New York Times, and USA Today bestsellers. She’s talented, business-minded, and enjoys opportunities for collaboration–a perfect match for us. We invite you to inspect her work showcased on her website and her Facebook page. When I was 8 years old, I wrote my first story and decided I wanted to be a writer. Fast forward nearly 30 years, and I finally finished a complete full-length novel. During all those years, I learned a lot about writing (I still wrote for my career, just not fiction), life, and even a little about making books and publishing. I became a serial entrepreneur, owning several businesses, some of them even successful. So starting a publishing company didn’t feel like a huge leap to me – but at the same time felt like we were space-jumping to the stars. 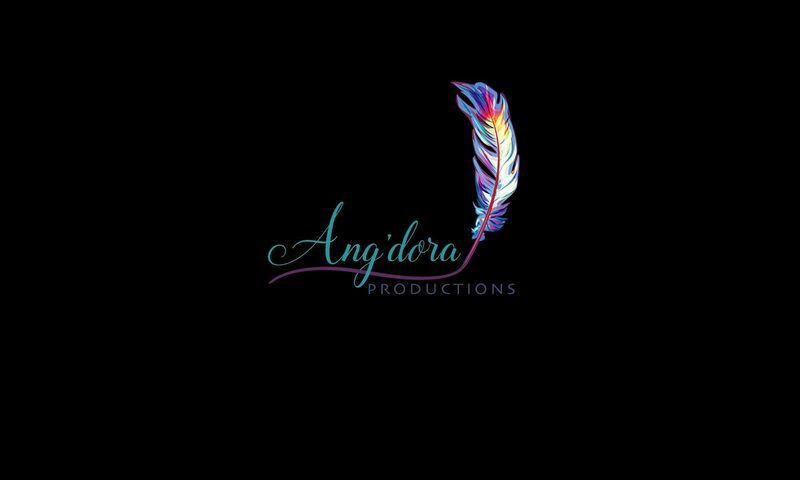 Ang’dora Productions, LLC, was established in 2010 as a boutique publishing company, starting with my books but with plans to expand to help other authors reach their dreams. The industry went crazy, though, and figuring out how to help other authors changed every day. Although my books became successful, we had no idea if we could duplicate that for anyone else. We learned that no, you can never duplicate a book’s success (at least not until you become a King or Patterson). But you can use solid business and marketing practices to give a book and its author a running start, setting them up for success and not failure. Many say Lady Luck plays a huge role in the entertainment industry. That is somewhat true, but the Lady tends to visit more frequently those who have put themselves in a place to receive her. So that’s become our purpose at Ang’dora–to help authors set themselves up in the best way possible to welcome Lady Luck into their writing careers. We offer a variety of services to writers, including editing and formatting, to ensure their books are polished and presented professionally and beautifully. We’ve also teamed up with Red Coat PR to create AfterWords, classroom-style seminars for writers to learn how to run the business side of being an author (and there’s always a business side, make no mistake about that!). We’ll be coming to a city near you soon. And although Ang’dora served as the publisher of record for multi-author box sets and collections in the past, we are now offering some exciting publishing opportunities for authors. We’ll be announcing the first project very, very soon. We have many plans and projects currently in the works that we hope will bring a lot of satisfaction to readers and authors. So stay tuned. Ang’dora Productions has been around for 7 years, but we’ve really only just begun.